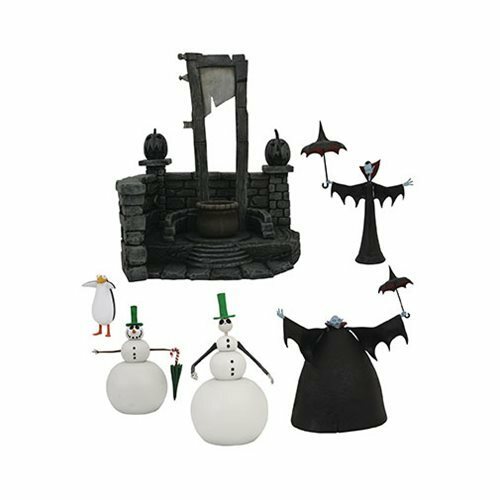 The Nightmare Before Christmas Select Series 7 Action Figures each with a piece of a larger diorama! In Series 7, Snowman Jack, Big Vampire and Skinny Vampire each come with pieces to build the Halloween Town guillotine environment, and Snowman Jack also includes parts to turn into an actual snowman! Each figure comes packaged in the display-ready Select packaging with side-panel art for shelf reference.